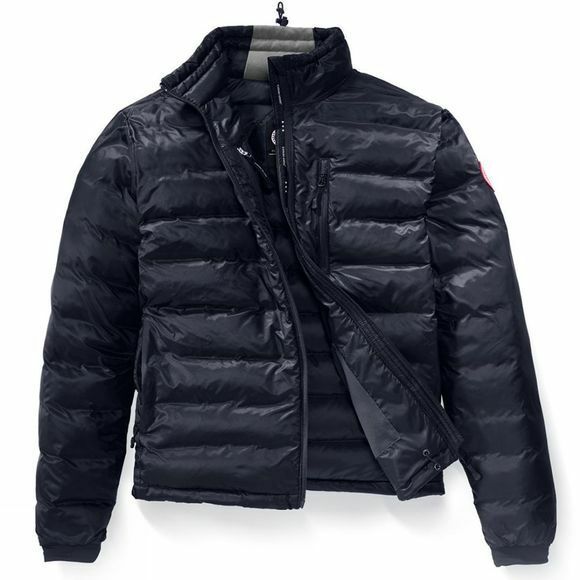 Providing you with warm and windproof protection, Canada Goose Men's Lodge Jacket is the perfect layer of cooler days and mild winter evenings. 750 Fill Power Hutterite White Duck Down with an insulated windguard prevents your warmth from being taken, whilst its Basecamp 20D technology provides you with windproof protection for use and performance in all conditions. Numerous pockets throughout ensure that all of your hand held essentials are to hand, whilst the reverse coil YKK zippers, provides you with peace of mind security. Its lightweight design helps it to go unnoticed in your luggage and can even be packed inside itself, for optimal storage.